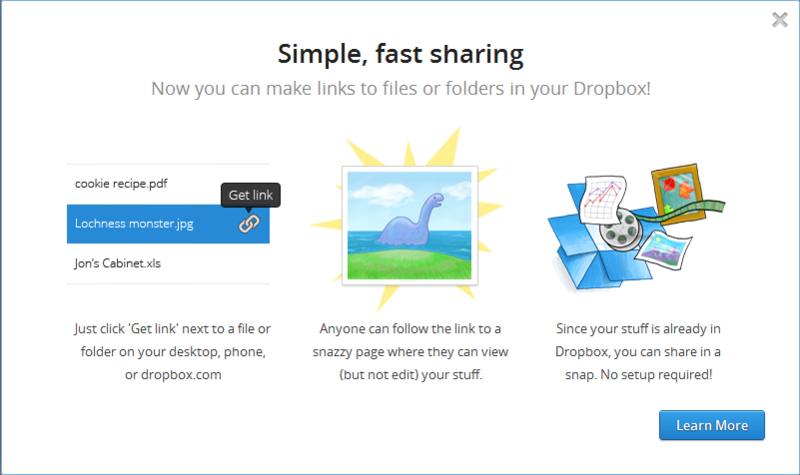 Dropbox, a free service that lets people bring their documents, photos and videos anywhere and share them easily, today announced an easier way for people to instantly share with just a link. Get the link by clicking on link symbol or selecting “get link” from right click menu of file or folder. Just share the link with your friends and family. They don’t need to download anything.